The story Luke tells in his gospel, says F. Scott Spencer, is "a compelling, complex narrative confession of faith in God. To what degree anyone joins Luke in that faith journey is up to them, but any responsible interpreter must attend considerately to Luke's theological roadmap." In this latest addition to the Two Horizons New Testament Commentary series, Spencer integrates close textual analysis of Luke's unfolding narrative with systematic theology, spiritual forma-tion, philosophical inquiry, and psychological research. With section-by-section commentary, Spencer highlights the overriding salvific message that runs through Luke's gospel. 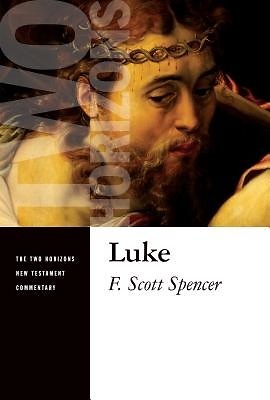 Pastors, scholars, and students alike will benefit from Spencer's insight into Luke's theological significance.